Hi, I’m so excited that you are here. 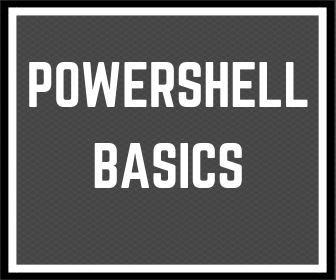 Today I want to show you the 3 basic steps to start using Powershell for everybody who doesn’t have technical skills. In the 3 simple examples of use Powershell for Everybody (for you too) I show my tricks to use PowerShell in everyday work. It will let you forget repetitive tasks and allow you do more productivity things that you like. 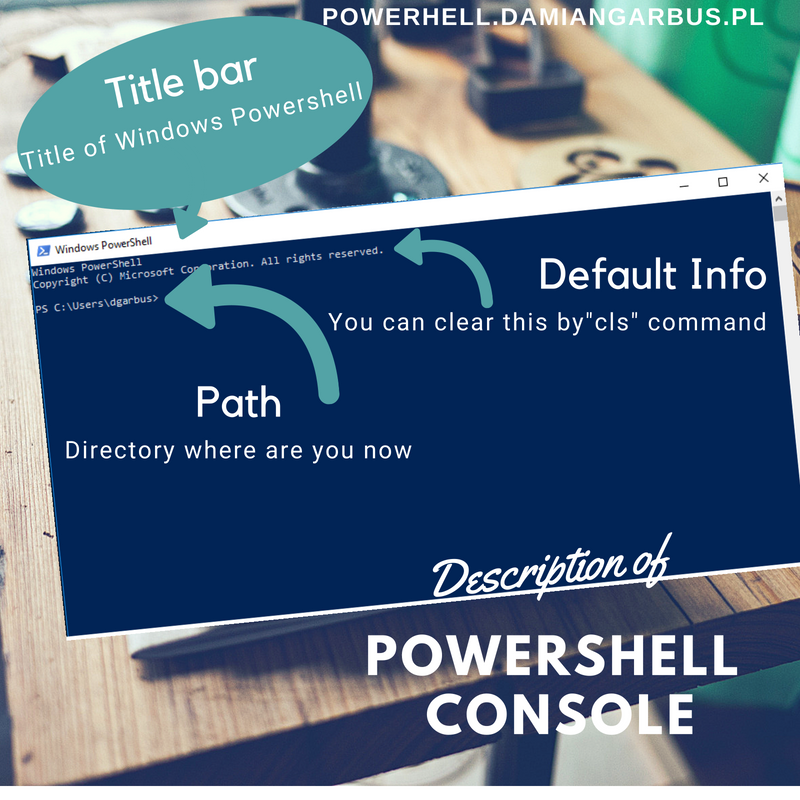 If you know how to run Powershell console and know basics of use it, these article isn’t for you ? 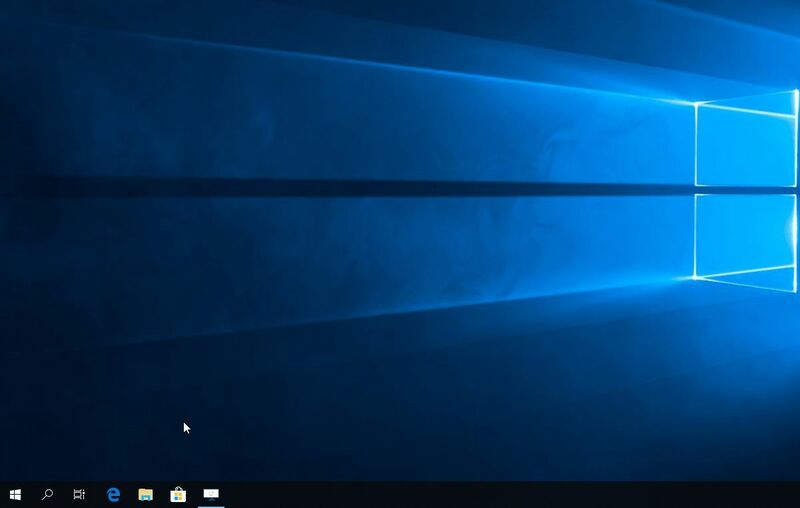 If you have device with Windows operating system you have PowerShell by default. In another operating system you have to install PowerShell yourself. Instalation package and instructions are here. To open Powershell Console in Windows operating system click Manu Start, next type Powershell and click Windows Powershell. Powershell console is a command line console what mean that if you want to do something in your PC you have to write it. Please let me describe you parts of this console. Awsome! You can now write your first command. 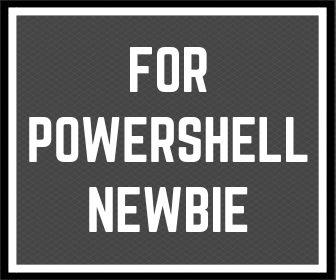 Don’t know any Powershell command? In my opinion It should be “Get-Childitem” It will show you content of your directory (folders and files). 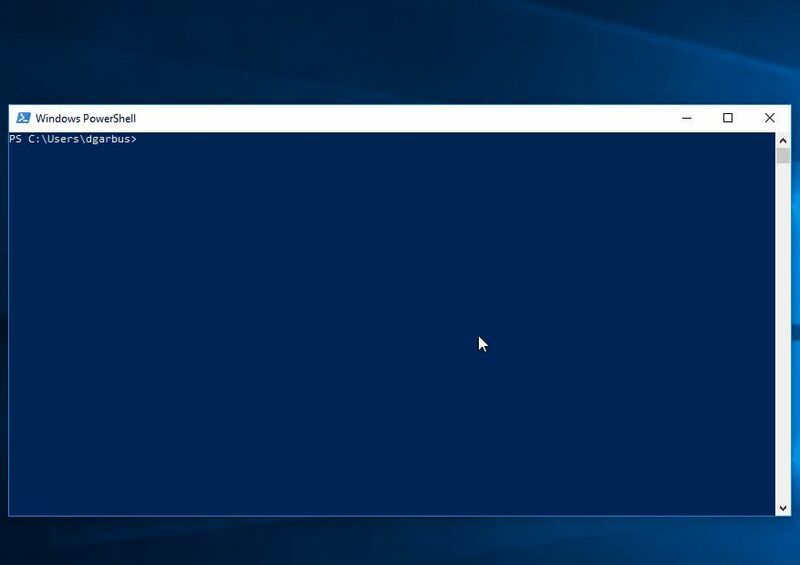 It was 3 basic steps to start using PowerShell. If you would like to learn try these 3 steps, think in what it can help you and save your time. Please write your first experience in comments. 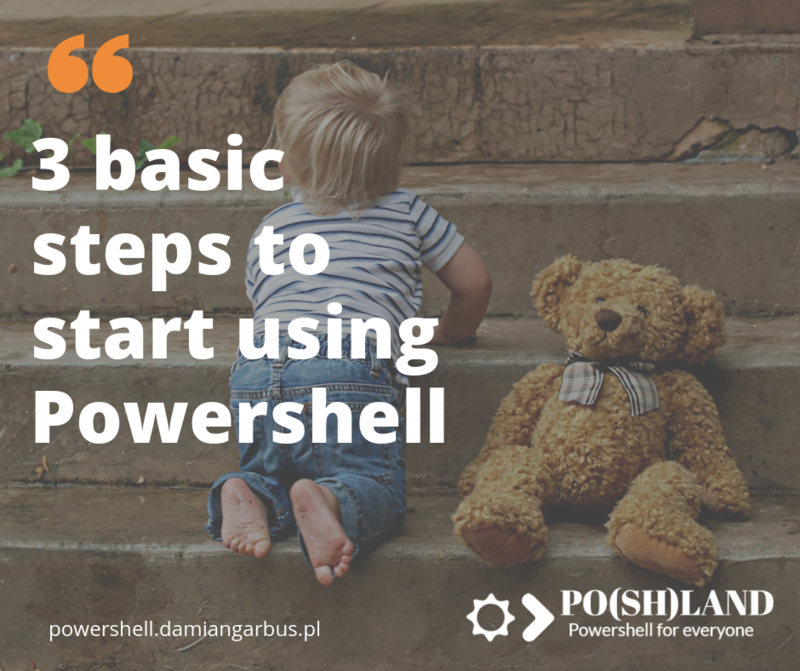 2 replies to "3 basic steps to start using Powershell"
Hej wróciłeś do pisania bloga !! !